Vooner Paper Machinery vacuum pump performance surveys can evaluate your vacuum services demand on your paper machine and verify both correct vacuum element sizing (uhle box, suction roll, flat box, etc.) and vacuum pump sizing on your machine before committing to a pump rebuild. During the vacuum pump performance survey, we will bring our flow and pressure measurement equipment to the station and perform an orifice test on each vacuum pump (any make). 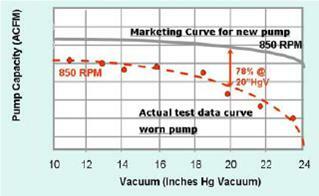 The data collected is utilized to compare the current dry air performance of your existing vacuum pump to the original manufacturer’s marketing performance curve. We can orifice test vacuum pumps used on condenser exhausters, FGD Filters (Gypsum dewatering), fly-ash conveying and water box priming. Viewing the original OEM pump marketing curve alongside the tested performance curve for your existing pump provides a true measure of how your pump is performing. Prior to scheduling the test, we need to know; the make & model number (i.e. Nash AT2004) and RPM (not motor RPM) for each vacuum pump. 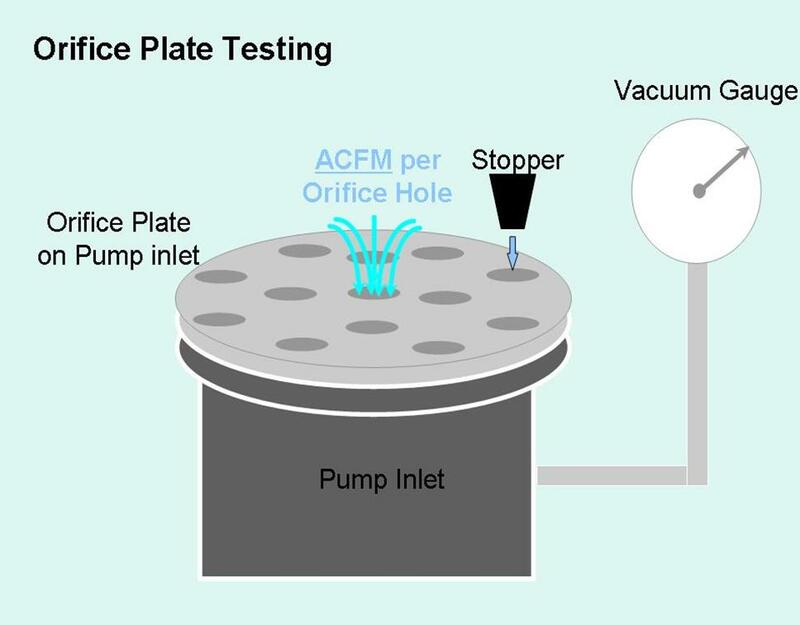 Orifice Plate Test Vacuum Pumps to determine airflow compared to new pump capacity and to your actual service demand. Review your existing sizing of uhle boxes, suction roll box sizing, etc. for TAPPI recommended operation at your current machine conditions. Review vacuum system piping, inlet & discharge separators, sealing liquid system. 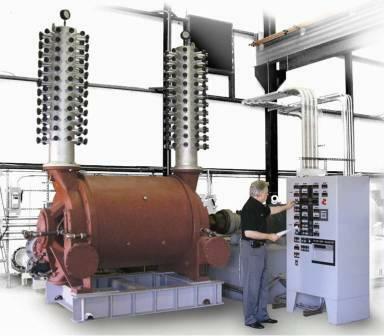 Analyze vacuum system energy and seal water costs. Analyze complete coverage cleaning of forming wires and press felts. Recommend TAPPI best practice placement of showers and shower oscillators. With Age, “Vaneslip” occurs and airflow at vacuum declines. 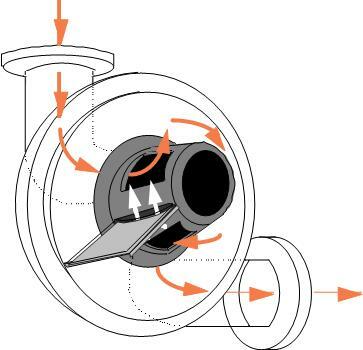 Worn rotor vanes will allow high pressure air from the discharge segment to leak under vanes, “slip” back into the inlet segment and rob space available for new incoming vacuum airflow.